"As a diverse family we seek and serve God through joyful worship, love and respect for creation, promotion of social justice, and growth into the image of Christ." The Reverend John Thomas Frazier was born and raised in Nashville, Tennessee where he enlisted in the United States Marine Corps. He served for thirty years in the Marines and surrendered more and more to God’s call on his life. 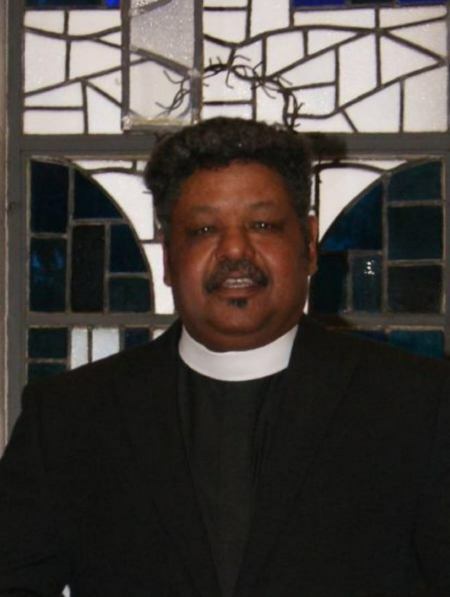 Near the end of his service career he performed many church duties at his new home parish of St Christopher’s Episcopal Church, Havelock, North Carolina. While serving at St Christopher’s John has served as Senior Warden twice, Junior Warden, vestry person, lay reader, Sunday School Teacher, and assisted with numerous special projects. John was named Postulant for Holy Orders in the Episcopal Diocese of East Carolina on March 25, 2002 and entered Virginia Theological Seminary, in Alexandria, Virginia the fall of that same year. Graduating from Virginia Theological Seminary in May of 2005 he was ordained a Deacon on June 25th of 2005 at St Peter’s Episcopal Church, Washington, North Carolina and accepted a position as Deacon-in-Charge at St Paul’s in-the-Pines Episcopal Church, Fayetteville, North Carolina on July 1st 2005. John was ordained to the Sacred Order of Priests on April 8th, 2006 at St John’s Episcopal Church, Fayetteville, North Carolina and is the Rector of St Paul’s in-the-Pines Episcopal Church, Fayetteville, North Carolina. John is married to the former Veronica Phillips.